This is the wedding Gotham deserves. 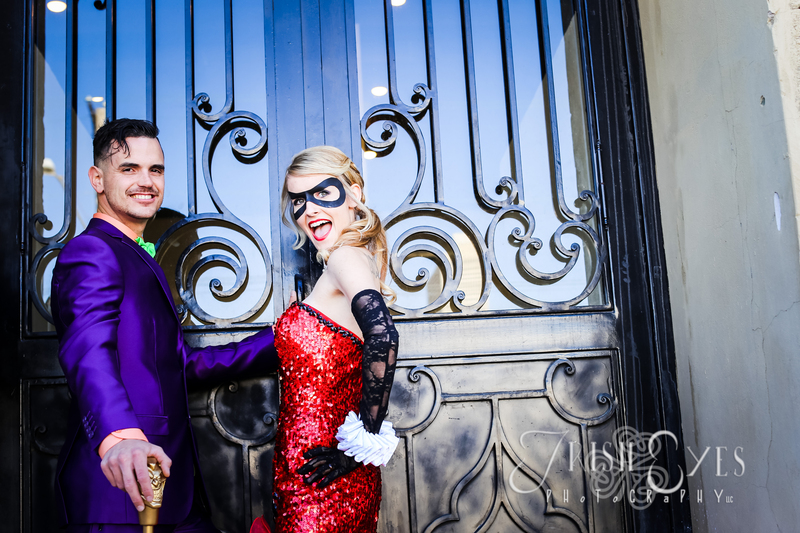 On Saturday, Batman-obsessed couple Ali Butrym and Ryan Jeziorski dressed as characters Harley Quinn and the Joker when they tied the knot in a comic-themed wedding in Fort Worth, Texas. 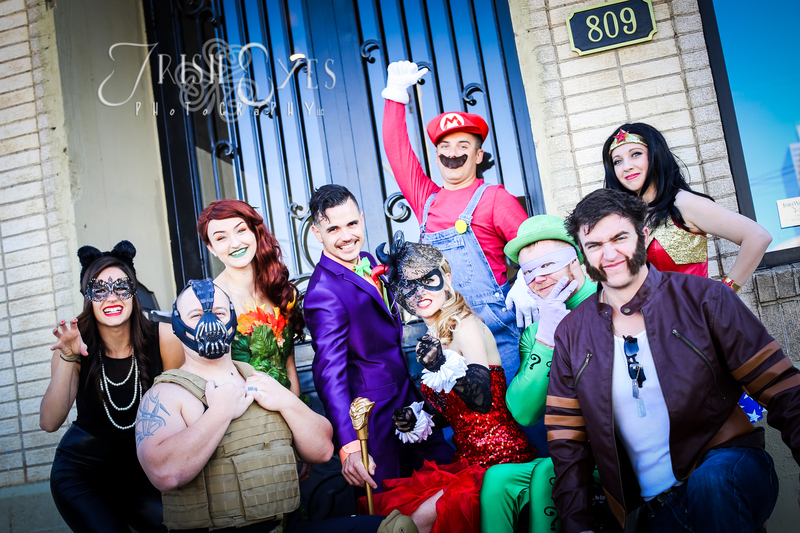 The bridal party also went all out in the costume department, dressing as characters like Wolverine, Wonder Woman, Bane, The Riddler, Catwoman, Poison Ivy and Mario. Naturally, Batman (a.k.a the couple's friend Jarrod) officiated the wedding. "Thankfully both of our families know how crazy we both are and all played along," the bride wrote on Reddit, where she first posted the photos. "And I think with both of us being big Batman fans they weren't surprised. Plus every person that attended also dressed up! Made me realize we have some awesome family and friends." Not surprisingly, Ali and Ryan were first introduced by a mutual friend who set them up because they both had Batman tattoos. Check out some photos from their super awesome celebration below. Kapow!